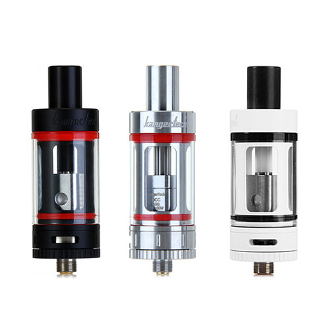 Kanger Tech has taken the perfect design of the Subtank Mini and still somehow managed to surpass its predecessor with a more updated and refined features and function through the Kanger Top Tank Mini Atomizer. You still have the same shape and liquid capacity (4mls) but with just a few modified adjustments. The Top Tank Mini’s design improvement now allows for you to fill your tank through the removal of its top. No longer will you have to unscrew your Mini from your battery and therefore slowly strip your threads, or awkwardly fill it upside down while it’s still attached to your Mod. Besides making your liquid filling process much simpler, this clearomizer kit also comes with Kanger’s newly designed SSOCC heads in .15 ohm giving more vapor and flavor with each hit.